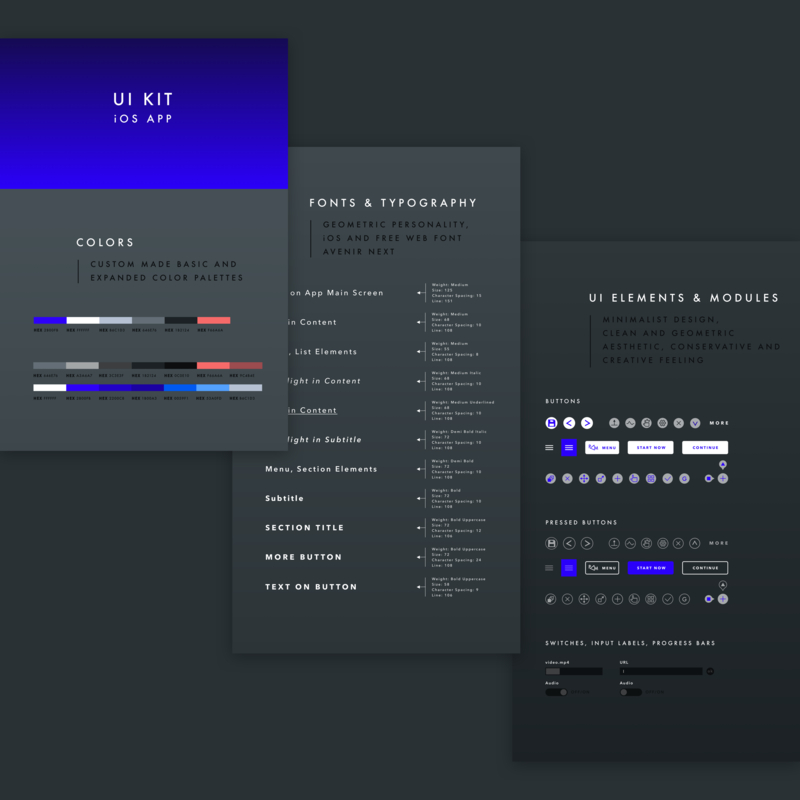 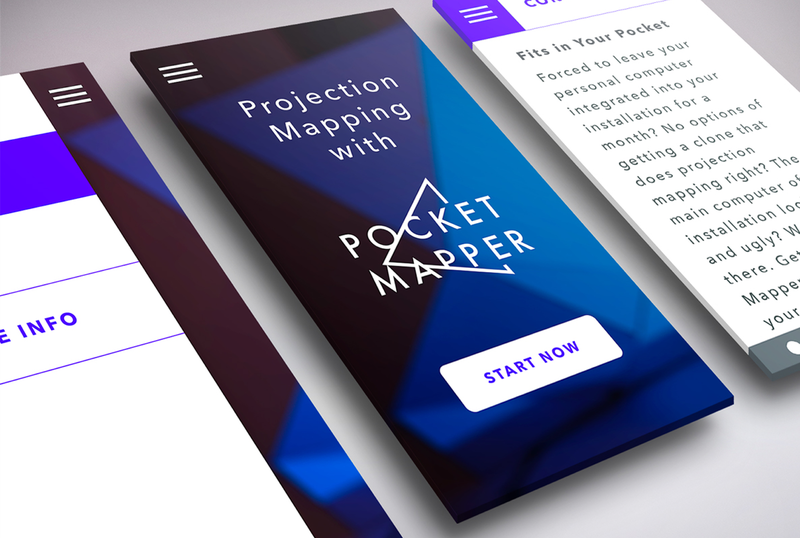 Pocket Mapper – Irina Spicaka. 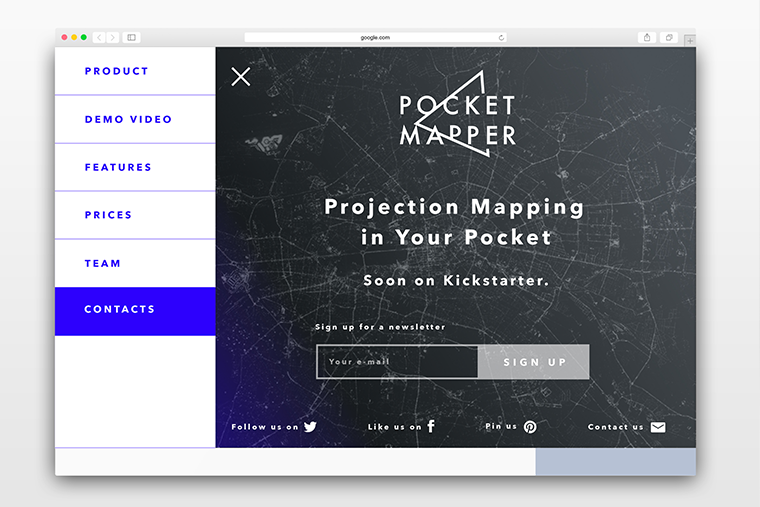 This is an idea for iOS App & Website for projection mapping tool Pocket Mapper that is based on openFrameworks addon ofxPiMapper. 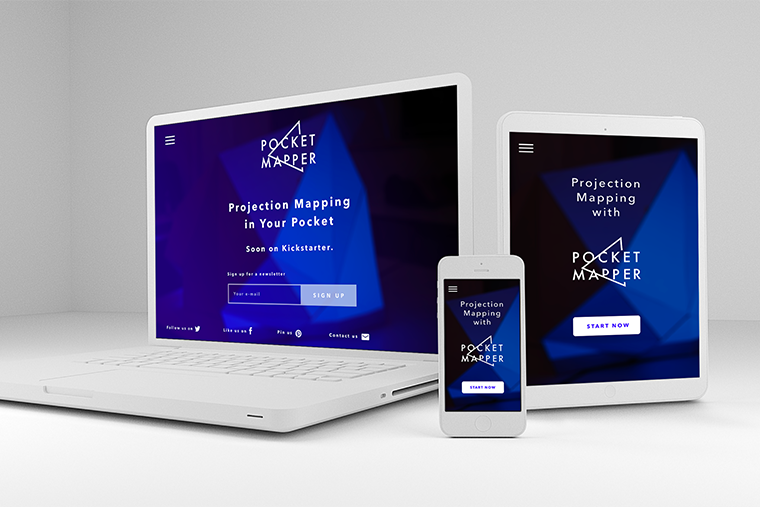 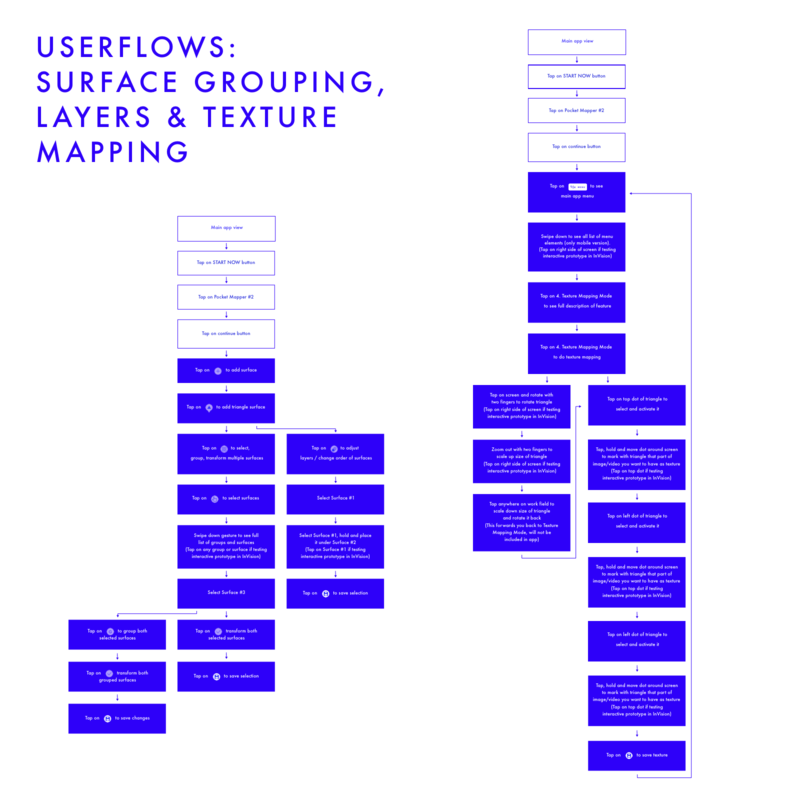 The initial idea was to create a commercial Pocket Mapper as a pocket-size projection mapping tool for artists, designers and others who are interested in learning and experimenting with projection mapping. 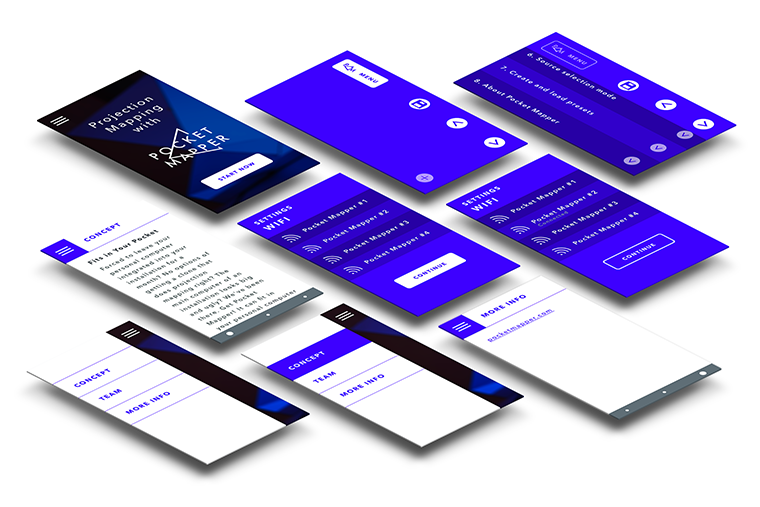 In the end a commercial product was not built, however, ofxPiMapper still exists as an open-source openFramework add-on. 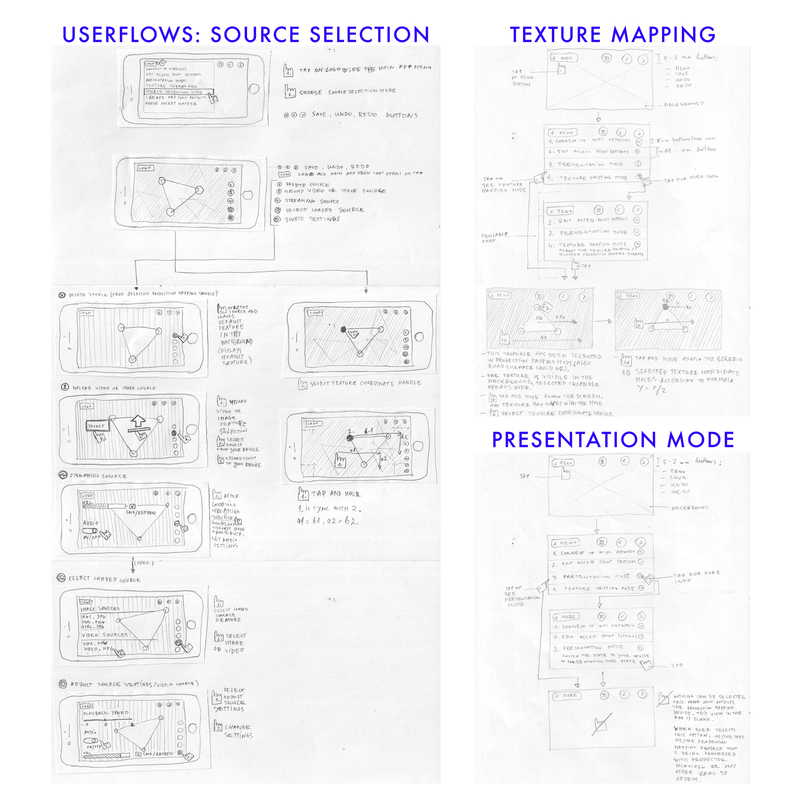 We wanted to encourage our future users to stop expensive computers and commercial, closed source projection mapping software. 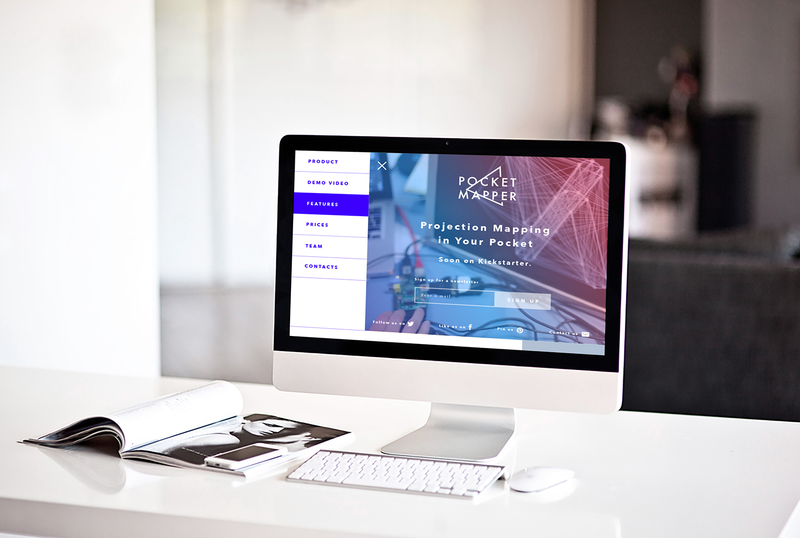 Pocket Mapper was meant to contain both affordable hardware and open-source software, all set up to be easily integrated into the users' personal projects. 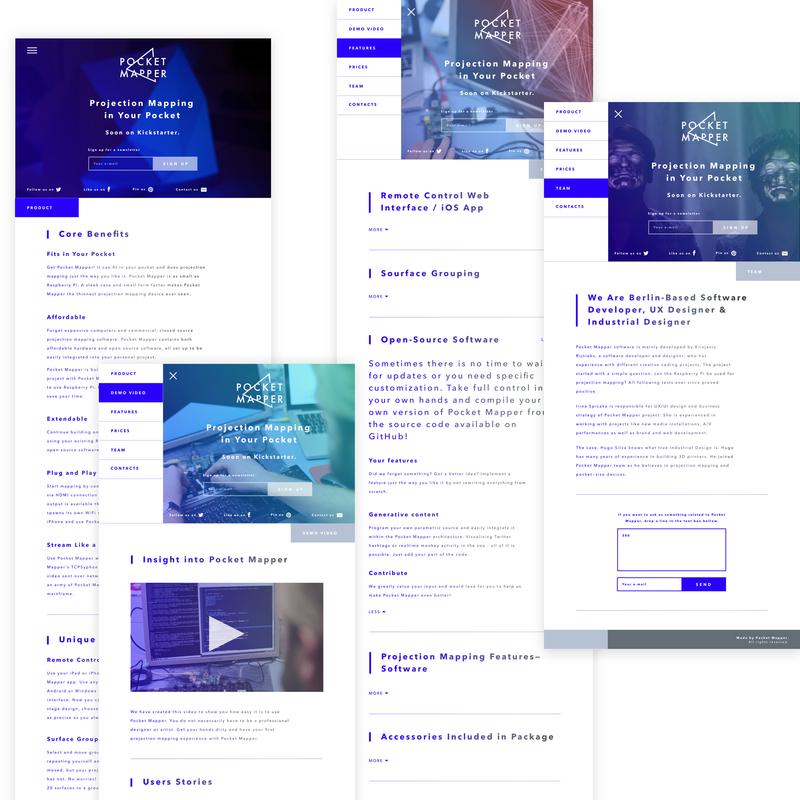 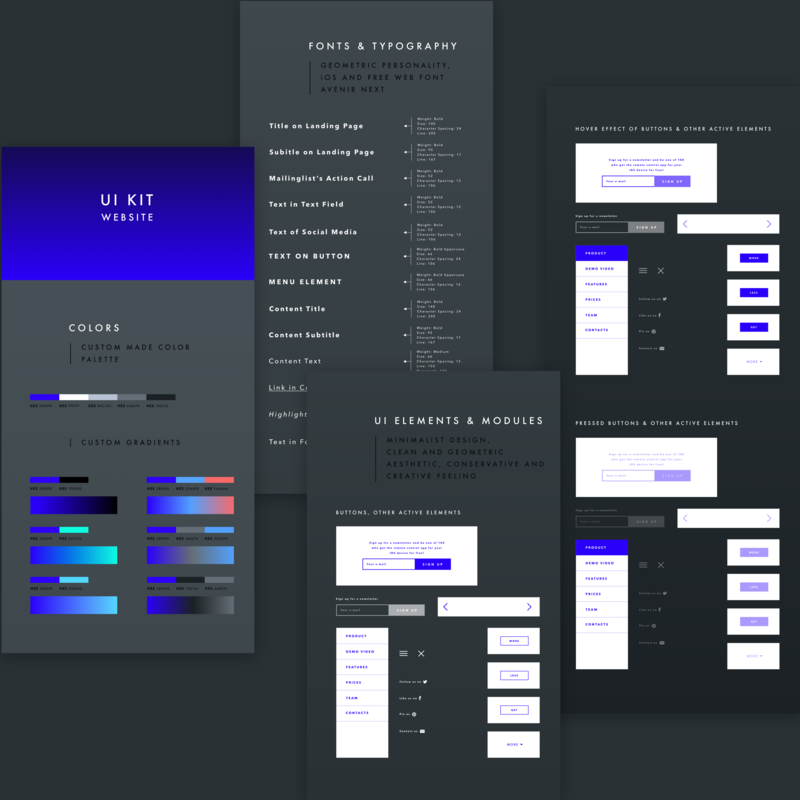 iOS App & Web design ideas were created after running multiple user interviews and A/B tests, and afterwards analyzing collected data. 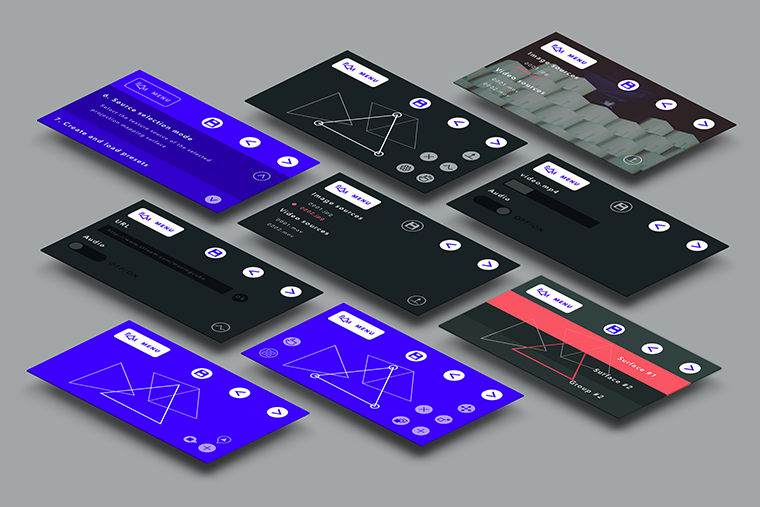 We made sure that future Pocket Mapper users were given a chance to use intuitive and good-looking user interface, and experience gained would be used in work with an actual product later.